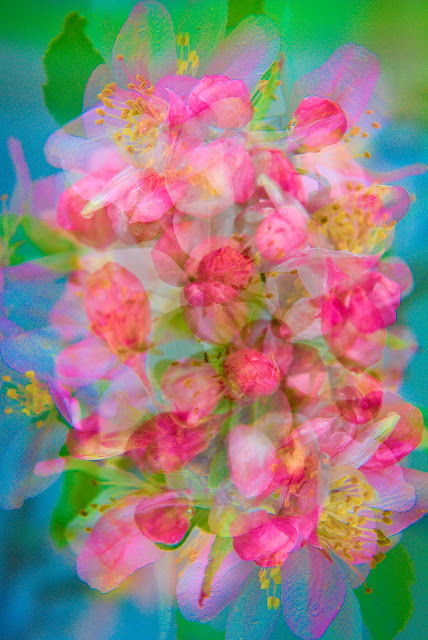 This is an in-camera multiple exposure. The Cubist painters inspire me to utilize multiple views simultaneously to portray a subject’s essence. Shortly after the musician Prince died, I created this piece. The bright colors evoked his song Pop Life. I borrowed the title in tribute. I donated a print of Pop Life to the In-Sight Photography Project (Brattleboro, VT), for the non-profit's annual benefit auction. 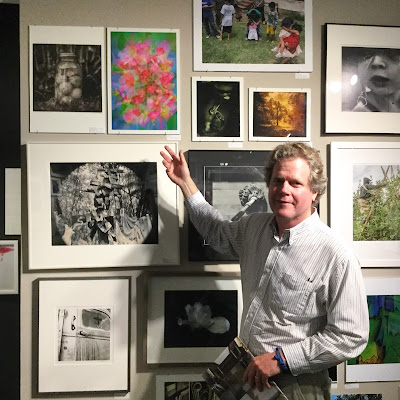 The organization provides photography classes to youth on a sliding scale. I invite you to bid on my image and support a good cause. Bidding ends on October 30, 2016. 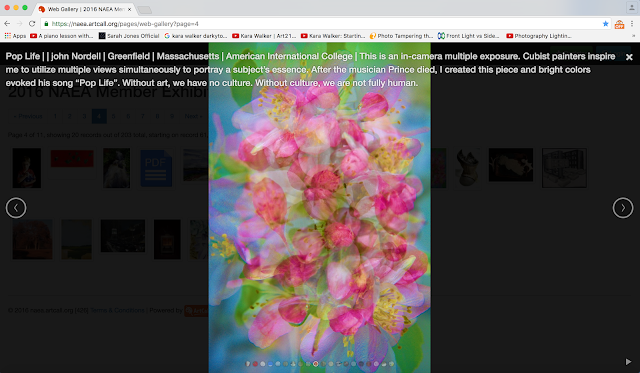 The image is also included in the 2016 National Art Education Association Member Exhibition Online Gallery. Without art, we have no culture. Without culture, we are not fully human.